Patrick Kavanagh was born in the rural village of Inniskeen, in Country Monaghan, Ireland, on October 21, 1904. He was the son of a small farmer who also worked as a cobbler. Kavanagh attended Kednaminsha National School from 1909 to 1916, but took his leave at the age of 13 to apprentice with his father as a shoemaker. He left the trade after a little more than a year, and for the next 20 years worked as a farmer on the family holding. In 1939, he moved to Dublin. Patrick Kavanagh began to compose poetry in his teen years largely for his own pleasure. In 1928 some of his works were published by two non-literary journals, the Weekly Independent and the Dundalk Democrat. He had three more poems printed by George Russell, the editor of The Irish Statesman during the years 1929 to 1930. Kavanagh walked 50 miles to Dublin to personally meet Russell. Russell was a man who sought to help talented unknown writers, and soon took Patrick Kavanagh under his tutelage. He helped gain access for Kavanagh to Dublin’s elite literary circles. Kavangagh began his writing towards the end of the Irish Literary Renaissance, a revolution of sorts that sought to cultivate a more authentic Irish literary style, one that dwelt specifically on Irish subjects. The vanguard of the movement, as in other nationalisms at the time, was particularly enamored of the peasant lifestyle. They romanticized it as the keeper of authentic Irish traditions. As a result of their isolation from urban life, it was felt that peasants were not tainted by British cultural influences. In Dublin, Kavanagh soon came to disdain many of those associated with the urban literary scene. They often patronized him as “the literate peasant” and all too often acted in an affected manner he found off-putting. Patrick Kavanagh published his first collection of poems, Ploughman and Other Poems, in 1936. The work was a straightforward representation of Irish rural life free of the sentimentality he so abjured. His epic poem and perhaps his greatest offering, The Great Hunger, was published in 1942. The piece depicted the deprivations of country life. It was his further answer to the sentimentalized version of the world of peasants he found so prevalent among the literati of Dublin. Later in life Kavanagh was appointed lecturer at the University College, Dublin. Patrick Kavanagh died on November 30, 1967, in Dublin. The Irish Times in 2000, undertook a survey of the country’s favorite poems. Ten of the first 50 favorites were written by Patrick Kavanagh. Grow with nature again as before I grew. Eloquently new and abandoned to its delirious beat. From green and blue things and arguments that cannot be proven. And gave me your clod-conceived. And his voice my thick tongued mumble. You told me the plough was immortal! In the smooth lea-field of my brow. Of beauty, love and truth. You burgled my bank of youth! All the women that love young men. Or write with unpoisoned pen. Got caught in a peasant's prayer. Dead loves that were born for me. Among your earthiest words the angels stray. Free in the oriental streets of thought. And you smile up at us - eternally. Along the side-fall of the hill - Maguire and his men. And the gulls like old newspapers are blown clear of the hedges, luckily. Is there some light of imagination in these wet clods? Or why do we stand here shivering? Before apples were hung from the ceilings for Hallowe'en? Where the plough missed or a spade stands, straitening the way. A rusty plough. Three heads hanging between wide-apart legs. October playing a symphony on a slack wire paling. Where men are spanning across wide furrows. The pricks that pricked were the pointed pins of harrows. The seed of an acre away with crow-rude jeers. And hallooed the birds away that were the birds of the years. Turn over the weedy clods and tease out the tangled skeins. What is he looking for there? Than his mud-gloved fingers probe in this insensitive hair. And straddle the horse,' Maguire calls. 'The wind's over Brannagan's, now that means rain. Through a clay-wattled moustache and stares about him from the height. When she praised the man who made a field his bride. Is a wet sack flapping about the knees of time. Is spread in the bottom of a ditch under two coulters crossed in Christ's Name. The innocence of young brambles to hooked treachery. O the grip, O the grip of irregular fields! No man escapes. That was his sigh like the brown breeze in the thistles. God's truth is life - even the grotesque shapes of his foulest fire. To lip late passion in the crawling clover. The fools of life bleed if they climb over. The poignant light in puddles shaped by hooves. And we will know what a peasant's left hand wrote on the page. Be easy, October. No cackle hen, horse neigh, tree sough, duck quack. At the age of ninety-one. Wife and mother in one. And an impotent worm on his thigh. Once a week at least flesh must make an appearance. And life is more lousy than savage. And boiled the kettle and gave the cows their hay. And a wizened face like moth-eaten leatherette. And gloated over the bacon-fizzling pan. Outside the window showed tin canisters. And Patrick on a headland stood alone. And a cold black wind is blowing from Dundalk. The virgin screams before the irresistible sock. Except that he forgot to bring his matches. With all the sharpened interest of rivalry. At Easter from the sealed and guarded tomb. And marks God's truth in pounds and pence and farthings. And sensual dreams sleep dreams subtly underground. Tomorrow is Wednesday - who cares? And who was Eileen now cannot be known. The corn is coming up evenly. Christ will meet them at the end of the world, the slow and the speedier. But the fields say: only Time can bless. Now and at the Hour.' Heaven dazzled death. As one man and coughed in unison. Who lives in Christ shall never die the death. As the congregation stood up for the Last Gospel. Coughed the prayer phlegm up from his throat and sighed: Amen. And he was then a young and heated fellow. Written in letters larger than John Bunyan dreamt of. For the strangled impulse there is no redemption. And stroked their flanks in lieu of wife to handle. The circle that was the grass track where he ran. And still there was no winning-post where the runner is cheered home. Headlands under an April-watery moon. And saw a wet weed twined about his toe. As the ruminations of cows after milking. Tosses it across the elm tree on to the railway. Night in the elms, night in the grass. Talking loudly of Kitty and Molly? Horses or women? wisdom or folly? From the fairy who is faith or hope or compounds of. Or putting an axle in the turf-barrow. The sound of a sow taking up a new position. And dreamt himself to lewd sleepiness. The clock ticked on. Time passes. They were picking up life's truth singly. In a crumb of bread the whole mystery is. Philosopher and priest and common dunce. A pearl necklace round the neck of poverty. Too hard to carve. Three frozen idols of a speechless muse. And you'll have all the luck,' his mother said. Around a conscience when soft thighs are spread. She trusted in Nature that never deceives. But her son took it as literal truth. To sense - but not in little tillage fields. And not because the grass was wet either. A man was watching her, Patrick Maguire. Among the stars - out of reach of the peasant's hand. The needs of a brother and sister. And all earth's pedestalled gods thrown. He didn't care a damn. On drink the next Saturday. Midsummer grass could make them. O the men were as blind as could be. And not the rope that was strangling true love. He fantasied forth his groan. He rode in day-dream cars. When the gate swung too much in the breeze. Life slipped between the bars. And he would carve the new one to his own will. And in it marriage is hung and money. Of dawn in the year of One. An ignorant peasant deep in dung. What can the passers-by think otherwise? Where is his silver bowl of knowledge hung? That is only the mark of a hoof in guttery gaps? A man is what is written on the label. And the ridges he never loved. The hysteria and the boredom of the enclosed nun of his thought. And the chapel pressing its low ceiling over them. A narrow slice of divine instruction. To jump in love though death bait the hook. And there would be girls sitting on the grass banks of lanes. A man might take one of them if he had the courage. Except when the public-house came in and shouted its piece. And the Amazon and the romance traced on the school map lived again. Was like an old book found in a king's tomb. Or a school reader brown with the droppings of thatch. Was a humbug profound as the highbrow's Arcana. But its secret dribbled down his waistcoat like a drink from a strainer. On the double if the second leg had followed the first. And the man that did that could never be burst. On both sides were shown to be stupid as hell. Or the pig-gelder Nallon whose knowledge was amazing. Another one … No, you're wrong about that thing I was telling you. . The students were all savants by the time of pub-close. She prayed for release to heaven or hell. And it cut through to his mind before the end. And the harrows rattled over the seed. A man with whom the fair-green gods break even. 'You needn't fear or fret. As the shadows of poplars crookened the furrows. As he used to be in Aprils long ago. It was the menopause, the misery-pause. Would see no political intrigue in an old man's friendship. The heifer waiting to be nosed by the old bull. And colder than the black hills facing Armagh in February. The law's long arm could not serve with time. During all the Sundays of May. And took the measure of heaven angle-wise. When thirty-five could take the sparrow's bow. Looking out chance windows of poetry or prayer. The twisted thread is stronger than the wind-swept fleece. And in the end who shall rest in truth's high peace? Or whose is the world now, even now? And feel what he feels. He stopped his cart to look at it. Was there a fairy hiding behind it? And he wished them happiness and whatever they most desired from life. Gives in a season to a ploughman. And yet thanked the God who had arranged these things. Was he then a saint? A Matt Talbot of Monaghan? Or maybe a tobacco-stained caramel. This game, the last, a tanner one. Kate, throw another sod on that fire. Into the flame across a shoulder. The frosted townland of the night. Drunk in an Orient opium den. Somebody's leg has fallen asleep. Using your double-tree this week? Why? do you want it? Play the ace. There's it, and that's the last card for me. Is very convenient. Is that a ghost or a tree? And their voices rumble like laden carts. I should have led that ace of hearts. The cows on the grassless heights . And shouted to warm himself. And scooped them into a basket. Whose spine was being tickled. And saddened his terrier dog's. While the wind blew under his clothes. But she still enquired after the household affairs. 'And your children will miss you when you're gone. And a shower of sparrow-notes was the litany for her dying. And her children stood around the bed and cried because it was too late for crying. Mary Anne came away from the deathbed and boiled the calves their gruel. 'O what was I doing when the procession passed? And I might have joined them. That it stuck in the slot? It was midsummer forty years ago. The moment that gave the turn to my life. O Christ! I am locked in a stable with pigs and cows for ever. The simpleness of peasant life. Everywhere he walks there are flowers. Unless the clay is in the mouth the singer's singing is useless. When they grasp the steering wheels again. Regret that the Maker of Light had not touched him more intensely. Of conscious joy. He was not born blind. To sudden stone-falling or the desire to breed. But there is nothing he can do. Is there nothing he can do? From the nest - on its own. He circles around and around wondering why it should be. That was how his life happened. A sick horse nosing around the meadow for a clean place to die. And his men are now collecting the scattered harness and baskets. Watches them through the shadows. 'Back in, back in.' One talks to the horse as to a brother. 'Joe, I hope you didn't forget to hide the spade . For there's rogues in the townland. Hide it flat in a furrow. I think we ought to be finished by to-morrow. First cousins to the ghosts of the townland. Has the table set and the tea-pot waiting in the ashes. And the bawling cows at the gates. And the hysterical laughter of the defeated everywhere. Night, and the futile cards are shuffled again. And he hardly looks to see which card is trump. Like the wick of an oil-less lamp. Quality of the clay that dribbles over his coffin. He'll know the names of the roots that climb down to tickle his feet. And he will feel no different than when he walked through Donaghmoyne. Shut them again for that sight is sin. A procession passed down a mesmerized street. By colour his fields were. As a tune on an oboe. And the serious look of his fields will have changed to the leer of a hobo. Swaggering celestially home to his three wishes granted. Will that be? will that be? To the fun of the sun. The tongue in his mouth is the root of a yew. Silence, silence. The story is done. The bedposts fall. No hope. No lust. In every corner of this land. Are you a poet, aspiring poet, or an admirer of Patrick Kavanagh poetry? Our editors are always looking for new Patrick Kavanagh poetry to add to our collection. Submit your Patrick Kavanagh poetry to our editors by clicking the "contact us" link at the bottom of this page. 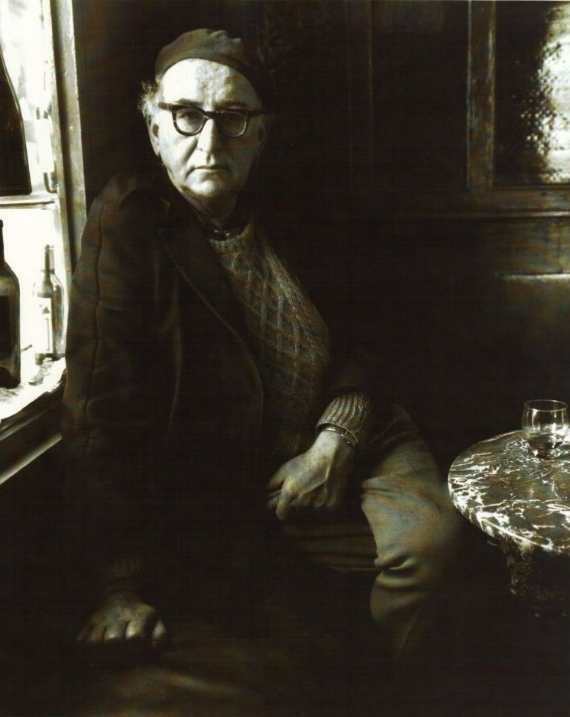 We hope you enjoyed our selection of Patrick Kavanagh poetry.